This vehicle is very clean but wrong type of inventory for our market. We have it priced to sell as if it were at the auction because we cannot keep vehicles this pricey on our lot. Take advantage of this once in a lifetime deal on a beautiful Land Rover!! SPRING SALE! ALL INVENTORY MUST GO! MARKED DOWN!, NO MONEY DOWN NEEDED!, ONE OWNER, Sunroof/Moonroof, Leather Seats, ** 4WD AWD 4X4 **, Backup Camera, Bluetooth, RECENT TRADE IN, ** CLEAN VEHICLE HISTORY...NO ACCIDENTS **, ** REDUCED PRICE **, ** FREE STATE INSPECTION **, ** PRINT THIS PAGE FOR A FREE TANK OF GAS WITH PURCHASE **, ** LOW PAYMENTS **, ** CALL FOR AVAILABILITY **, ** BAD CREDIT FINANCING **, Navigation System, ** REMAINDER OF FACTORY WARRANTY **, ** INCLUDES WARRANTY **, Heat Package, ** DIESEL **, ** JUST IN **. Come see us during the Steven Nissan Grand Opening Sale! All vehicles marked down to make way for new inventory. Priced below KBB Fair Purchase Price! 22/28 City/Highway MPG Steven Nissan is equipped to handle all of your automobile financial needs. Whether you have perfect credit or perhaps had some tough times, we are here to help! We are experts in assisting those who need to rebound and reestablish their credit ratings with over 20 lenders and the most competitive interest rates in the industry. That's how we ensure you get the lowest rate with the lowest payment possible. This 2017 Land Rover Range Rover Sport is located at Steven Nissan in Harrisonburg, Virginia. Come to Steven Nissan to get the BEST Customer Service, the MOST for your trade, the BEST payment, and the HIGHEST value in the Shenandoah Valley. We use LIVE Market Pricing to make sure our prices are extremely COMPETITIVE. Come see for yourself what the HAPPY Steven Nissan customers are saying about us. Contact us at Steven Nissan, your Harrisonburg Virginia Nissan dealer, Staunton Virginia Nissan dealer, Charlottesville Virginia Nissan dealer, Winchester Virginia Nissan dealer, Chantilly Virginia Nissan dealer, for a great deal today! SPRING SALE! ALL INVENTORY MUST GO! MARKED DOWN!, NO MONEY DOWN NEEDED!, ONE OWNER, Leather Seats, ** 4WD AWD 4X4 **, Backup Camera, Bluetooth, ** CLEAN VEHICLE HISTORY...NO ACCIDENTS **, ** REDUCED PRICE **, ** PRINT THIS PAGE FOR A FREE TANK OF GAS WITH PURCHASE **, ** LOW PAYMENTS **, ** CALL FOR AVAILABILITY **, ** BAD CREDIT FINANCING **, ** SERVICE RECORDS AVAILABLE **, Navigation System, ** REMAINDER OF FACTORY WARRANTY **, ** INCLUDES WARRANTY **, Heat Package, ** FUEL SAVER **, ** JUST IN **, ** AUTOCHECK BUYBACK GUARANTEE **, ** AUTOMATIC **, Tow Package, Trailer Package, Front Armrest w/Cupholders, Quick Order Package 2FH Laramie. Come see us during the Steven Nissan Grand Opening Sale! All vehicles marked down to make way for new inventory. Odometer is 7279 miles below market average! Steven Nissan is equipped to handle all of your automobile financial needs. Whether you have perfect credit or perhaps had some tough times, we are here to help! We are experts in assisting those who need to rebound and reestablish their credit ratings with over 20 lenders and the most competitive interest rates in the industry. That’s how we ensure you get the lowest rate with the lowest payment possible. This 2017 Ram 2500 is located at Steven Nissan in Harrisonburg, Virginia. Come to Steven Nissan to get the BEST Customer Service, the MOST for your trade, the BEST payment, and the HIGHEST value in the Shenandoah Valley. We use LIVE Market Pricing to make sure our prices are extremely COMPETITIVE. Come see for yourself what the HAPPY Steven Nissan customers are saying about us. Contact us at Steven Nissan, your Harrisonburg Virginia Nissan dealer, Staunton Virginia Nissan dealer, Charlottesville Virginia Nissan dealer, Winchester Virginia Nissan dealer, Chantilly Virginia Nissan dealer, for a great deal today! ONE OWNER, ** 4WD AWD 4X4 **, Backup Camera, Bluetooth, ** CLEAN VEHICLE HISTORY...NO ACCIDENTS **, ** REDUCED PRICE **, ** PRINT THIS PAGE FOR A FREE TANK OF GAS WITH PURCHASE **, ** LOW PAYMENTS **, ** CALL FOR AVAILABILITY **, ** SERVICE RECORDS AVAILABLE **, ** REMAINDER OF FACTORY WARRANTY **, ** INCLUDES WARRANTY **, ** FUEL SAVER **, ** JUST IN **, ** AUTOCHECK BUYBACK GUARANTEE **, ** AUTOMATIC **, Tow Package, Trailer Package, 4WD, ABS brakes, Compass, Electronic Stability Control, Illuminated entry, Low tire pressure warning, Remote keyless entry, Traction control. Come see us during the Steven Nissan Grand Opening Sale! All vehicles marked down to make way for new inventory. Priced below KBB Fair Purchase Price! Odometer is 16285 miles below market average! Awards: * 2016 KBB.com Brand Image Awards Steven Nissan is equipped to handle all of your automobile financial needs. Whether you have perfect credit or perhaps had some tough times, we are here to help! We are experts in assisting those who need to rebound and reestablish their credit ratings with over 20 lenders and the most competitive interest rates in the industry. That’s how we ensure you get the lowest rate with the lowest payment possible. This 2016 Ford F-150 is located at Steven Nissan in Harrisonburg, Virginia. Come to Steven Nissan to get the BEST Customer Service, the MOST for your trade, the BEST payment, and the HIGHEST value in the Shenandoah Valley. We use LIVE Market Pricing to make sure our prices are extremely COMPETITIVE. Come see for yourself what the HAPPY Steven Nissan customers are saying about us. Contact us at Steven Nissan, your Harrisonburg Virginia Nissan dealer, Staunton Virginia Nissan dealer, Charlottesville Virginia Nissan dealer, Winchester Virginia Nissan dealer, Chantilly Virginia Nissan dealer, for a great deal today! SPRING SALE! ALL INVENTORY MUST GO! MARKED DOWN!, NO MONEY DOWN NEEDED!, ONE OWNER, ** 4WD AWD 4X4 **, Backup Camera, Bluetooth, ** CLEAN VEHICLE HISTORY...NO ACCIDENTS **, ** REDUCED PRICE **, ** PRINT THIS PAGE FOR A FREE TANK OF GAS WITH PURCHASE **, ** LOW PAYMENTS **, ** CALL FOR AVAILABILITY **, ** BAD CREDIT FINANCING **, ** SERVICE RECORDS AVAILABLE **, ** REMAINDER OF FACTORY WARRANTY **, ** INCLUDES WARRANTY **, ** FUEL SAVER **, ** JUST IN **, ** AUTOCHECK BUYBACK GUARANTEE **, ** AUTOMATIC **, 17" x 7.5" Aluminum Wheels, Auto-Dimming Mirror w/Reading Lamp, Chrome/Leather Wrapped Shift Knob, Connectivity Group, Deep Tint Sunscreen Windows, Front 1-Touch Down Power Windows, Leather Wrapped Steering Wheel, Power Convenience Group, Power Heated Mirrors, Power Locks, Quick Order Package 24S, Remote Keyless Entry, Remote USB Port, Security Alarm, Tire Pressure Monitoring Display, Uconnect Voice Command w/Bluetooth, Vehicle Information Center. Come see us during the Steven Nissan Grand Opening Sale! All vehicles marked down to make way for new inventory. Odometer is 2290 miles below market average! Steven Nissan is equipped to handle all of your automobile financial needs. Whether you have perfect credit or perhaps had some tough times, we are here to help! We are experts in assisting those who need to rebound and reestablish their credit ratings with over 20 lenders and the most competitive interest rates in the industry. That’s how we ensure you get the lowest rate with the lowest payment possible. This 2016 Jeep Wrangler is located at Steven Nissan in Harrisonburg, Virginia. Come to Steven Nissan to get the BEST Customer Service, the MOST for your trade, the BEST payment, and the HIGHEST value in the Shenandoah Valley. We use LIVE Market Pricing to make sure our prices are extremely COMPETITIVE. Come see for yourself what the HAPPY Steven Nissan customers are saying about us. Contact us at Steven Nissan, your Harrisonburg Virginia Nissan dealer, Staunton Virginia Nissan dealer, Charlottesville Virginia Nissan dealer, Winchester Virginia Nissan dealer, Chantilly Virginia Nissan dealer, for a great deal today! Priced below KBB Fair Purchase Price! NO MONEY DOWN NEEDED!, One Owner, 3rd Row Seat, Moonroof Sunroof, Leather Seats, 4WD AWD 4X4, Backup Camera, Bluetooth, Recent Trade in, Clean Vehicle History No Accidents, Free State Inspections, Print this page for a free tank of gas with purchase, Low Payments, Call for Availability, Bad Credit Financing, Remainder of Factory Warranty, Heated Seats, Just in, Autocheck buyback Guarantee, Automatic, AWD. Odometer is 1890 miles below market average! Awards: * 2017 KBB.com 10 Most Awarded Brands *TRANSPARENCY PRICING! * Steven KIA values your time and is committed to providing you with an easy and transparent shopping experience! The price you see is the price you qualify for without the surprises. Contact us today! SPRING SALE! ALL INVENTORY MUST GO! MARKED DOWN!, NO MONEY DOWN NEEDED!, ONE OWNER, ** 3RD ROW SEAT **, Leather Seats, ** 4WD AWD 4X4 **, Backup Camera, Bluetooth, ** CLEAN VEHICLE HISTORY...NO ACCIDENTS **, ** REDUCED PRICE **, ** FREE STATE INSPECTION **, ** PRINT THIS PAGE FOR A FREE TANK OF GAS WITH PURCHASE **, ** LOW PAYMENTS **, ** CALL FOR AVAILABILITY **, ** BAD CREDIT FINANCING **, Navigation System, ** 7 PASSENGER **, ** REMAINDER OF FACTORY WARRANTY **, ** INCLUDES WARRANTY **, Heat Package, ** JUST IN **, AWD. Come see us during the Steven Nissan Grand Opening Sale! All vehicles marked down to make way for new inventory. Priced below KBB Fair Purchase Price! Odometer is 9638 miles below market average! Awards: * 2016 KBB.com Best Buy Awards Finalist * 2016 KBB.com 5-Year Cost to Own Awards * 2016 KBB.com Brand Image Awards Steven Nissan is equipped to handle all of your automobile financial needs. Whether you have perfect credit or perhaps had some tough times, we are here to help! We are experts in assisting those who need to rebound and reestablish their credit ratings with over 20 lenders and the most competitive interest rates in the industry. That’s how we ensure you get the lowest rate with the lowest payment possible. This 2016 Ford Explorer is located at Steven Nissan in Harrisonburg, Virginia. Come to Steven Nissan to get the BEST Customer Service, the MOST for your trade, the BEST payment, and the HIGHEST value in the Shenandoah Valley. We use LIVE Market Pricing to make sure our prices are extremely COMPETITIVE. Come see for yourself what the HAPPY Steven Nissan customers are saying about us. Contact us at Steven Nissan, your Harrisonburg Virginia Nissan dealer, Staunton Virginia Nissan dealer, Charlottesville Virginia Nissan dealer, Winchester Virginia Nissan dealer, Chantilly Virginia Nissan dealer, for a great deal today! SPRING SALE! ALL INVENTORY MUST GO! MARKED DOWN!, NO MONEY DOWN NEEDED!, ONE OWNER, ** 3RD ROW SEAT **, ** 4WD AWD 4X4 **, Backup Camera, Bluetooth, RECENT TRADE IN, ** CLEAN VEHICLE HISTORY...NO ACCIDENTS **, ** REDUCED PRICE **, ** PRINT THIS PAGE FOR A FREE TANK OF GAS WITH PURCHASE **, ** LOW PAYMENTS **, ** CALL FOR AVAILABILITY **, ** BAD CREDIT FINANCING **, ** REAR DVD / ENTERTAINMENT **, ** 7 PASSENGER **, ** FUEL SAVER **, ** JUST IN **, Tow Package, 4WD. Come see us during the Steven Nissan Grand Opening Sale! All vehicles marked down to make way for new inventory. Priced below KBB Fair Purchase Price! Odometer is 21192 miles below market average! Steven Nissan is equipped to handle all of your automobile financial needs. Whether you have perfect credit or perhaps had some tough times, we are here to help! We are experts in assisting those who need to rebound and reestablish their credit ratings with over 20 lenders and the most competitive interest rates in the industry. That’s how we ensure you get the lowest rate with the lowest payment possible. This 2015 Nissan Armada is located at Steven Nissan in Harrisonburg, Virginia. Come to Steven Nissan to get the BEST Customer Service, the MOST for your trade, the BEST payment, and the HIGHEST value in the Shenandoah Valley. We use LIVE Market Pricing to make sure our prices are extremely COMPETITIVE. Come see for yourself what the HAPPY Steven Nissan customers are saying about us. Contact us at Steven Nissan, your Harrisonburg Virginia Nissan dealer, Staunton Virginia Nissan dealer, Charlottesville Virginia Nissan dealer, Winchester Virginia Nissan dealer, Chantilly Virginia Nissan dealer, for a great deal today! NO MONEY DOWN NEEDED!, Sunroof/Moonroof, Leather Seats, ** 4WD AWD 4X4 **, Backup Camera, Bluetooth, ** REDUCED PRICE **, ** FREE STATE INSPECTION **, ** PRINT THIS PAGE FOR A FREE TANK OF GAS WITH PURCHASE **, ** LOW PAYMENTS **, ** CALL FOR AVAILABILITY **, ** BAD CREDIT FINANCING **, Navigation System, Heat Package, ** AUTOMATIC **, Tow Package, 4WD, ABS brakes, Compass, Electronic Stability Control, Front dual zone A/C, Heated door mirrors, Heated front seats, Illuminated entry, Low tire pressure warning, Remote keyless entry, Traction control. Come see us during the Steven Nissan Grand Opening Sale! All vehicles marked down to make way for new inventory. Priced below KBB Fair Purchase Price! Odometer is 10349 miles below market average! 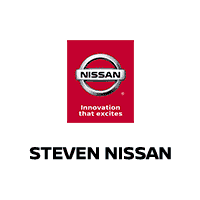 Awards: * 2013 KBB.com Brand Image Awards Steven Nissan is equipped to handle all of your automobile financial needs. Whether you have perfect credit or perhaps had some tough times, we are here to help! We are experts in assisting those who need to rebound and reestablish their credit ratings with over 20 lenders and the most competitive interest rates in the industry. That’s how we ensure you get the lowest rate with the lowest payment possible. This 2013 Ford F-150 is located at Steven Nissan in Harrisonburg, Virginia. Come to Steven Nissan to get the BEST Customer Service, the MOST for your trade, the BEST payment, and the HIGHEST value in the Shenandoah Valley. We use LIVE Market Pricing to make sure our prices are extremely COMPETITIVE. Come see for yourself what the HAPPY Steven Nissan customers are saying about us. Contact us at Steven Nissan, your Harrisonburg Virginia Nissan dealer, Staunton Virginia Nissan dealer, Charlottesville Virginia Nissan dealer, Winchester Virginia Nissan dealer, Chantilly Virginia Nissan dealer, for a great deal today! NO MONEY DOWN NEEDED!, One Owner, 3rd Row Seat, 4WD AWD 4X4, Backup Camera, Bluetooth, New Tires, Recent Trade in, Clean Vehicle History No Accidents, Free State Inspections, Print this page for a free tank of gas with purchase, Low Payments, Call for Availability, Bad Credit Financing, Remainder of Factory Warranty, Just in, Autocheck buyback Guarantee, Automatic, Local Trade, AWD, 10-Way Power Adjustable Driver Seat, 17" x 7.0" Alloy Wheels, Auto-Dimming Rear-View Mirror, Dual Zone Automatic Climate Control, Exterior Parking Camera Rear, Fully automatic headlights, Heated Front Seats, Leather Wrapped Steering Wheel & Shift Knob, LX Convenience Package, Park Distance Warning-Reverse, Radio: UVO eServices, Roof Rails (Silver). Odometer is 1614 miles below market average! 21/26 City/Highway MPG *TRANSPARENCY PRICING! * Steven KIA values your time and is committed to providing you with an easy and transparent shopping experience! The price you see is the price you qualify for without the surprises. Contact us today! YEAR END SALE! ALL INVENTORY MUST GO!! MARKED DOWN!, NO MONEY DOWN NEEDED!, Moonroof Sunroof, Leather Seats, 4WD AWD 4X4, Backup Camera, Bluetooth, Clean Vehicle History No Accidents, Reduced Price, Free State Inspections, Print this page for a free tank of gas with purchase, Low Payments, Call for Availability, Bad Credit Financing, Navigation System GPS Navi, DVD Entertainment System, Fuel Saver, Just in, Automatic, Tow Package, 6-Speed Automatic, 4WD. *TRANSPARENCY PRICING! * Steven KIA values your time and is committed to providing you with an easy and transparent shopping experience! The price you see is the price you qualify for without the surprises. Contact us today! Priced below KBB Fair Purchase Price! YEAR END SALE! ALL INVENTORY MUST GO!! MARKED DOWN!, NO MONEY DOWN NEEDED!, One Owner, 3rd Row Seat, Moonroof Sunroof, Bluetooth, Reduced Price, Free State Inspections, Print this page for a free tank of gas with purchase, Low Payments, Call for Availability, Bad Credit Financing, 7 Passenger, Fuel Saver, Just in, Automatic. Odometer is 8248 miles below market average! 19/28 City/Highway MPG Awards: * 2016 KBB.com Best Buy Awards Winner Minivan * 2016 KBB.com 16 Best Family Cars Minivan * 2016 KBB.com Brand Image Awards 2016 Kelley Blue Book Brand Image Awards are based on the Brand Watch(tm) study from Kelley Blue Book Market Intelligence. Award calculated among non-luxury shoppers. For more information, visit www.kbb.com. Kelley Blue Book is a registered trademark of Kelley Blue Book Co., Inc. *TRANSPARENCY PRICING! * Steven KIA values your time and is committed to providing you with an easy and transparent shopping experience! The price you see is the price you qualify for without the surprises. Contact us today! SPRING SALE! ALL INVENTORY MUST GO! MARKED DOWN!, NO MONEY DOWN NEEDED!, ONE OWNER, Leather Seats, ** 4WD AWD 4X4 **, Backup Camera, Bluetooth, ** CLEAN VEHICLE HISTORY...NO ACCIDENTS **, ** REDUCED PRICE **, ** FREE STATE INSPECTION **, ** PRINT THIS PAGE FOR A FREE TANK OF GAS WITH PURCHASE **, ** LOW PAYMENTS **, ** CALL FOR AVAILABILITY **, ** BAD CREDIT FINANCING **, ** 7 PASSENGER **, Heat Package, ** FUEL SAVER **, ** JUST IN **, AWD. Come see us during the Steven Nissan Grand Opening Sale! All vehicles marked down to make way for new inventory. Priced below KBB Fair Purchase Price! Awards: * 2016 KBB.com 5-Year Cost to Own Awards * 2016 KBB.com Best Buy Awards Finalist * 2016 KBB.com Brand Image Awards Steven Nissan is equipped to handle all of your automobile financial needs. Whether you have perfect credit or perhaps had some tough times, we are here to help! We are experts in assisting those who need to rebound and reestablish their credit ratings with over 20 lenders and the most competitive interest rates in the industry. That’s how we ensure you get the lowest rate with the lowest payment possible. This 2016 Ford Explorer is located at Steven Nissan in Harrisonburg, Virginia. Come to Steven Nissan to get the BEST Customer Service, the MOST for your trade, the BEST payment, and the HIGHEST value in the Shenandoah Valley. We use LIVE Market Pricing to make sure our prices are extremely COMPETITIVE. Come see for yourself what the HAPPY Steven Nissan customers are saying about us. Contact us at Steven Nissan, your Harrisonburg Virginia Nissan dealer, Staunton Virginia Nissan dealer, Charlottesville Virginia Nissan dealer, Winchester Virginia Nissan dealer, Chantilly Virginia Nissan dealer, for a great deal today! SPRING SALE! ALL INVENTORY MUST GO! MARKED DOWN!, NO MONEY DOWN NEEDED!, ONE OWNER, Backup Camera, Bluetooth, ** CLEAN VEHICLE HISTORY...NO ACCIDENTS **, ** REDUCED PRICE **, ** PRINT THIS PAGE FOR A FREE TANK OF GAS WITH PURCHASE **, ** LOW PAYMENTS **, ** CALL FOR AVAILABILITY **, ** BAD CREDIT FINANCING **, ** SERVICE RECORDS AVAILABLE **, ** REMAINDER OF FACTORY WARRANTY **, ** INCLUDES WARRANTY **, ** FUEL SAVER **, ** JUST IN **, ** AUTOMATIC **. Come see us during the Steven Nissan Grand Opening Sale! All vehicles marked down to make way for new inventory. Priced below KBB Fair Purchase Price! Odometer is 7252 miles below market average! 19/28 City/Highway MPG Awards: * 2016 IIHS Top Safety Pick * 2016 KBB.com 16 Best Family Cars Minivan * 2016 KBB.com Best Buy Awards Winner Minivan * 2016 KBB.com Brand Image Awards 2016 Kelley Blue Book Brand Image Awards are based on the Brand Watch(tm) study from Kelley Blue Book Market Intelligence. Award calculated among non-luxury shoppers. For more information, visit www.kbb.com. Kelley Blue Book is a registered trademark of Kelley Blue Book Co., Inc. Steven Nissan is equipped to handle all of your automobile financial needs. Whether you have perfect credit or perhaps had some tough times, we are here to help! We are experts in assisting those who need to rebound and reestablish their credit ratings with over 20 lenders and the most competitive interest rates in the industry. That’s how we ensure you get the lowest rate with the lowest payment possible. This 2016 Honda Odyssey is located at Steven Nissan in Harrisonburg, Virginia. Come to Steven Nissan to get the BEST Customer Service, the MOST for your trade, the BEST payment, and the HIGHEST value in the Shenandoah Valley. We use LIVE Market Pricing to make sure our prices are extremely COMPETITIVE. Come see for yourself what the HAPPY Steven Nissan customers are saying about us. Contact us at Steven Nissan, your Harrisonburg Virginia Nissan dealer, Staunton Virginia Nissan dealer, Charlottesville Virginia Nissan dealer, Winchester Virginia Nissan dealer, Chantilly Virginia Nissan dealer, for a great deal today! SPRING SALE! ALL INVENTORY MUST GO! MARKED DOWN!, NO MONEY DOWN NEEDED!, ONE OWNER, ** 3RD ROW SEAT **, Backup Camera, Bluetooth, ** REDUCED PRICE **, ** PRINT THIS PAGE FOR A FREE TANK OF GAS WITH PURCHASE **, ** LOW PAYMENTS **, ** CALL FOR AVAILABILITY **, ** BAD CREDIT FINANCING **, ** REAR DVD / ENTERTAINMENT **, ** REMAINDER OF FACTORY WARRANTY **, ** FUEL SAVER **, ** JUST IN **, ** AUTOMATIC **. Come see us during the Steven Nissan Grand Opening Sale! All vehicles marked down to make way for new inventory. Priced below KBB Fair Purchase Price! Odometer is 725 miles below market average! 19/28 City/Highway MPG Awards: * 2016 IIHS Top Safety Pick * 2016 KBB.com Best Buy Awards Winner Minivan * 2016 KBB.com 16 Best Family Cars Minivan * 2016 KBB.com Brand Image Awards 2016 Kelley Blue Book Brand Image Awards are based on the Brand Watch(tm) study from Kelley Blue Book Market Intelligence. Award calculated among non-luxury shoppers. For more information, visit www.kbb.com. Kelley Blue Book is a registered trademark of Kelley Blue Book Co., Inc. Steven Nissan is equipped to handle all of your automobile financial needs. Whether you have perfect credit or perhaps had some tough times, we are here to help! We are experts in assisting those who need to rebound and reestablish their credit ratings with over 20 lenders and the most competitive interest rates in the industry. That’s how we ensure you get the lowest rate with the lowest payment possible. This 2016 Honda Odyssey is located at Steven Nissan in Harrisonburg, Virginia. Come to Steven Nissan to get the BEST Customer Service, the MOST for your trade, the BEST payment, and the HIGHEST value in the Shenandoah Valley. We use LIVE Market Pricing to make sure our prices are extremely COMPETITIVE. Come see for yourself what the HAPPY Steven Nissan customers are saying about us. Contact us at Steven Nissan, your Harrisonburg Virginia Nissan dealer, Staunton Virginia Nissan dealer, Charlottesville Virginia Nissan dealer, Winchester Virginia Nissan dealer, Chantilly Virginia Nissan dealer, for a great deal today! SPRING SALE! ALL INVENTORY MUST GO! MARKED DOWN!, NO MONEY DOWN NEEDED!, ONE OWNER, ** 4WD AWD 4X4 **, Backup Camera, Bluetooth, ** REDUCED PRICE **, ** PRINT THIS PAGE FOR A FREE TANK OF GAS WITH PURCHASE **, ** LOW PAYMENTS **, ** CALL FOR AVAILABILITY **, ** BAD CREDIT FINANCING **, ** SERVICE RECORDS AVAILABLE **, ** REMAINDER OF FACTORY WARRANTY **, ** INCLUDES WARRANTY **, ** FUEL SAVER **, ** JUST IN **, ** AUTOMATIC **, AWD. Come see us during the Steven Nissan Grand Opening Sale! All vehicles marked down to make way for new inventory. Odometer is 19702 miles below market average! 25/31 City/Highway MPG Awards: * ALG Residual Value Awards * 2016 IIHS Top Safety Pick+ (With Touring Model) * 2016 KBB.com Brand Image Awards 2016 Kelley Blue Book Brand Image Awards are based on the Brand Watch(tm) study from Kelley Blue Book Market Intelligence. Award calculated among non-luxury shoppers. For more information, visit www.kbb.com. Kelley Blue Book is a registered trademark of Kelley Blue Book Co., Inc. Steven Nissan is equipped to handle all of your automobile financial needs. Whether you have perfect credit or perhaps had some tough times, we are here to help! We are experts in assisting those who need to rebound and reestablish their credit ratings with over 20 lenders and the most competitive interest rates in the industry. That’s how we ensure you get the lowest rate with the lowest payment possible. This 2016 Honda CR-V is located at Steven Nissan in Harrisonburg, Virginia. Come to Steven Nissan to get the BEST Customer Service, the MOST for your trade, the BEST payment, and the HIGHEST value in the Shenandoah Valley. We use LIVE Market Pricing to make sure our prices are extremely COMPETITIVE. Come see for yourself what the HAPPY Steven Nissan customers are saying about us. Contact us at Steven Nissan, your Harrisonburg Virginia Nissan dealer, Staunton Virginia Nissan dealer, Charlottesville Virginia Nissan dealer, Winchester Virginia Nissan dealer, Chantilly Virginia Nissan dealer, for a great deal today! ** 4WD AWD 4X4 **, Backup Camera, Bluetooth, ** CLEAN VEHICLE HISTORY...NO ACCIDENTS **, ** REDUCED PRICE **, ** PRINT THIS PAGE FOR A FREE TANK OF GAS WITH PURCHASE **, ** LOW PAYMENTS **, ** CALL FOR AVAILABILITY **, ** SERVICE RECORDS AVAILABLE **, ** FUEL SAVER **, ** JUST IN **, Tow Package, Trailer Package, 4.0L V6 SMPI DOHC, 4WD, ABS brakes, Chrome Grille Surround, Color-Keyed Front Bumper & Overfenders, Cruise Control, Dual Sunvisors w/Mirrors & Extenders, Electronic Stability Control, Front Fog & Driving Lamps, Illuminated entry, Leather-Wrapped Steering Wheel, Low tire pressure warning, Metallic Tone Instrument Panel Trim, Privacy Glass, Remote Keyless Entry System, Sliding Rear Window, SR5 Badging, SR5 Package #2, Tailgate-Handle Backup Camera w/Monitor, Traction control, Traverse/Edge Cloth Seat Trim (FK), Variable Speed Wipers. Come see us during the Steven Nissan Grand Opening Sale! All vehicles marked down to make way for new inventory. Odometer is 2573 miles below market average! Awards: * ALG Best Residual Value * 2011 KBB.com Best Resale Value Awards * 2011 KBB.com Brand Image Awards Steven Nissan is equipped to handle all of your automobile financial needs. Whether you have perfect credit or perhaps had some tough times, we are here to help! We are experts in assisting those who need to rebound and reestablish their credit ratings with over 20 lenders and the most competitive interest rates in the industry. That’s how we ensure you get the lowest rate with the lowest payment possible. This 2011 Toyota Tacoma is located at Steven Nissan in Harrisonburg, Virginia. Come to Steven Nissan to get the BEST Customer Service, the MOST for your trade, the BEST payment, and the HIGHEST value in the Shenandoah Valley. We use LIVE Market Pricing to make sure our prices are extremely COMPETITIVE. Come see for yourself what the HAPPY Steven Nissan customers are saying about us. Contact us at Steven Nissan, your Harrisonburg Virginia Nissan dealer, Staunton Virginia Nissan dealer, Charlottesville Virginia Nissan dealer, Winchester Virginia Nissan dealer, Chantilly Virginia Nissan dealer, for a great deal today! ONE OWNER, ** 4WD AWD 4X4 **, Bluetooth, ** CLEAN VEHICLE HISTORY...NO ACCIDENTS **, ** REDUCED PRICE **, ** PRINT THIS PAGE FOR A FREE TANK OF GAS WITH PURCHASE **, ** LOW PAYMENTS **, ** CALL FOR AVAILABILITY **, ** SERVICE RECORDS AVAILABLE **, ** FUEL SAVER **, ** JUST IN **, ** AUTOMATIC **, 4WD, ABS brakes, Compass, Electronic Stability Control, Illuminated entry, Low tire pressure warning, Remote keyless entry, SYNC Voice Activated Communication & Entertainment, Traction control. Come see us during the Steven Nissan Grand Opening Sale! All vehicles marked down to make way for new inventory. Priced below KBB Fair Purchase Price! Awards: * 2014 KBB.com Brand Image Awards Steven Nissan is equipped to handle all of your automobile financial needs. Whether you have perfect credit or perhaps had some tough times, we are here to help! We are experts in assisting those who need to rebound and reestablish their credit ratings with over 20 lenders and the most competitive interest rates in the industry. That’s how we ensure you get the lowest rate with the lowest payment possible. This 2014 Ford F-150 is located at Steven Nissan in Harrisonburg, Virginia. Come to Steven Nissan to get the BEST Customer Service, the MOST for your trade, the BEST payment, and the HIGHEST value in the Shenandoah Valley. We use LIVE Market Pricing to make sure our prices are extremely COMPETITIVE. Come see for yourself what the HAPPY Steven Nissan customers are saying about us. Contact us at Steven Nissan, your Harrisonburg Virginia Nissan dealer, Staunton Virginia Nissan dealer, Charlottesville Virginia Nissan dealer, Winchester Virginia Nissan dealer, Chantilly Virginia Nissan dealer, for a great deal today! SPRING SALE! ALL INVENTORY MUST GO! MARKED DOWN!, NO MONEY DOWN NEEDED!, ONE OWNER, ** 4WD AWD 4X4 **, Backup Camera, Bluetooth, ** CLEAN VEHICLE HISTORY...NO ACCIDENTS **, ** REDUCED PRICE **, ** PRINT THIS PAGE FOR A FREE TANK OF GAS WITH PURCHASE **, ** LOW PAYMENTS **, ** CALL FOR AVAILABILITY **, ** BAD CREDIT FINANCING **, ** SERVICE RECORDS AVAILABLE **, ** REMAINDER OF FACTORY WARRANTY **, ** INCLUDES WARRANTY **, ** FUEL SAVER **, ** JUST IN **, ** AUTOCHECK BUYBACK GUARANTEE **, ** AUTOMATIC **, AWD. Come see us during the Steven Nissan Grand Opening Sale! All vehicles marked down to make way for new inventory. Priced below KBB Fair Purchase Price! Odometer is 14509 miles below market average! 25/31 City/Highway MPG Awards: * 2016 IIHS Top Safety Pick+ (With Touring Model) * ALG Residual Value Awards * 2016 KBB.com Brand Image Awards 2016 Kelley Blue Book Brand Image Awards are based on the Brand Watch(tm) study from Kelley Blue Book Market Intelligence. Award calculated among non-luxury shoppers. For more information, visit www.kbb.com. Kelley Blue Book is a registered trademark of Kelley Blue Book Co., Inc. Steven Nissan is equipped to handle all of your automobile financial needs. Whether you have perfect credit or perhaps had some tough times, we are here to help! We are experts in assisting those who need to rebound and reestablish their credit ratings with over 20 lenders and the most competitive interest rates in the industry. That’s how we ensure you get the lowest rate with the lowest payment possible. This 2016 Honda CR-V is located at Steven Nissan in Harrisonburg, Virginia. Come to Steven Nissan to get the BEST Customer Service, the MOST for your trade, the BEST payment, and the HIGHEST value in the Shenandoah Valley. We use LIVE Market Pricing to make sure our prices are extremely COMPETITIVE. Come see for yourself what the HAPPY Steven Nissan customers are saying about us. Contact us at Steven Nissan, your Harrisonburg Virginia Nissan dealer, Staunton Virginia Nissan dealer, Charlottesville Virginia Nissan dealer, Winchester Virginia Nissan dealer, Chantilly Virginia Nissan dealer, for a great deal today! SPRING SALE! ALL INVENTORY MUST GO! MARKED DOWN!, NO MONEY DOWN NEEDED!, ONE OWNER, Leather Seats, ** 4WD AWD 4X4 **, Backup Camera, Bluetooth, ** CLEAN VEHICLE HISTORY...NO ACCIDENTS **, ** REDUCED PRICE **, ** FREE STATE INSPECTION **, ** PRINT THIS PAGE FOR A FREE TANK OF GAS WITH PURCHASE **, ** LOW PAYMENTS **, ** CALL FOR AVAILABILITY **, ** BAD CREDIT FINANCING **, ** JUST IN **, AWD. Come see us during the Steven Nissan Grand Opening Sale! All vehicles marked down to make way for new inventory. Priced below KBB Fair Purchase Price! 20/28 City/Highway MPG Awards: * 2016 KBB.com Brand Image Awards Steven Nissan is equipped to handle all of your automobile financial needs. Whether you have perfect credit or perhaps had some tough times, we are here to help! We are experts in assisting those who need to rebound and reestablish their credit ratings with over 20 lenders and the most competitive interest rates in the industry. That’s how we ensure you get the lowest rate with the lowest payment possible. This 2016 Ford Edge is located at Steven Nissan in Harrisonburg, Virginia. Come to Steven Nissan to get the BEST Customer Service, the MOST for your trade, the BEST payment, and the HIGHEST value in the Shenandoah Valley. We use LIVE Market Pricing to make sure our prices are extremely COMPETITIVE. Come see for yourself what the HAPPY Steven Nissan customers are saying about us. Contact us at Steven Nissan, your Harrisonburg Virginia Nissan dealer, Staunton Virginia Nissan dealer, Charlottesville Virginia Nissan dealer, Winchester Virginia Nissan dealer, Chantilly Virginia Nissan dealer, for a great deal today! SPRING SALE! ALL INVENTORY MUST GO! MARKED DOWN!, NO MONEY DOWN NEEDED!, ONE OWNER, Sunroof/Moonroof, ** 4WD AWD 4X4 **, Backup Camera, Bluetooth, ** REDUCED PRICE **, ** FREE STATE INSPECTION **, ** PRINT THIS PAGE FOR A FREE TANK OF GAS WITH PURCHASE **, ** LOW PAYMENTS **, ** CALL FOR AVAILABILITY **, ** BAD CREDIT FINANCING **, Heat Package, ** FUEL SAVER **, ** JUST IN **. Come see us during the Steven Nissan Grand Opening Sale! All vehicles marked down to make way for new inventory. 24/32 City/Highway MPG Awards: * ALG Residual Value Awards * 2016 IIHS Top Safety Pick+ * 2016 KBB.com 10 Best All-Wheel Drive Vehicles Under $25,000 * 2016 KBB.com Best Resale Value Awards * 2016 KBB.com 10 Best SUVs Under $25,000 * 2016 KBB.com Brand Image Awards Steven Nissan is equipped to handle all of your automobile financial needs. Whether you have perfect credit or perhaps had some tough times, we are here to help! We are experts in assisting those who need to rebound and reestablish their credit ratings with over 20 lenders and the most competitive interest rates in the industry. That’s how we ensure you get the lowest rate with the lowest payment possible. This 2016 Subaru Forester is located at Steven Nissan in Harrisonburg, Virginia. Come to Steven Nissan to get the BEST Customer Service, the MOST for your trade, the BEST payment, and the HIGHEST value in the Shenandoah Valley. We use LIVE Market Pricing to make sure our prices are extremely COMPETITIVE. Come see for yourself what the HAPPY Steven Nissan customers are saying about us. Contact us at Steven Nissan, your Harrisonburg Virginia Nissan dealer, Staunton Virginia Nissan dealer, Charlottesville Virginia Nissan dealer, Winchester Virginia Nissan dealer, Chantilly Virginia Nissan dealer, for a great deal today!